Ashin Isssariya, aka King Zero, aka Minthunya was born in 1975 in Kungyangon Township, Yangon Division. This is his story. Told at the end of February 2010 in Mae Sot, Thailand. King Zero went to a government school, but his school was closed in 1988. “My father asked me if I wanted to go to the monastery, because he wanted me to be educated. I did and joined the monastery. I became a novice at the age of 14. 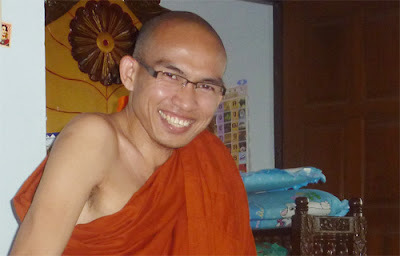 I stayed at the village monastery for three years and studied the Dhamma and Pali. I then went to another monastery, where I stayed for four years. After that, I moved to Pago monastery, where over 1,000 monks live. I lived there for three years. I then started studying at the Yangon State Sasana University. This is a university for monks. Apart from the Dhamma and Pali, we also studied subjects like philosophy and history. I wanted to achieve a higher education.” King Zero studied at this university for two years. King Zero published books and articles and collected many CD’s and books about politics. In January 2003, a library was opened in Mandalay. The Best Friend Group of Literature, as it was originally founded by Ashin Issariya and Ashin Sopaka at Sasana University, was known by this time as The Best Friend. The library had many books and also provided free language classes: English, but also Japanese and French. Both monks and laypersons attended the library. In 2004, a second library was opened in Mandalay, near the Eindawya Pagoda. And in Sagaing there was one, too. Every library offered classes on different subjects and political discussions. 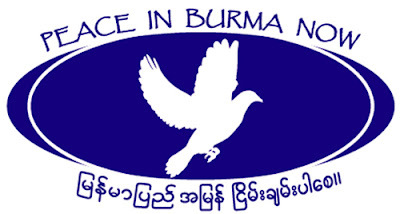 In total, The Best Friend opened 12 libraries inside Burma. And they did. Hundreds of thousands of Burmese monks started to march the streets of Burma and chanting the Metta Sutta on loving kindness. Many people joined the monks. It became known as the Saffron Revolution. On 26 and 27 September, many students joined in the peaceful walking in the streets. Many of them were arrested, too. Throughout 2007, King Zero stayed active. He joined forces with the 88 Generation Students and with Generation Wave. They organised new things and formed new leaders, as many of their former leaders had been arrested. They put up many stickers. They took risks. Ashin Issariya tells about The Best Friend and it’s high focus on education.